See below for guidance on filtering your search results to specific jurisdictions. To learn how to save such selections, visit this page. When you’ve selected the jurisdiction(s) you want to focus on, click on the Apply Jurisdictions button in the lower right corner. 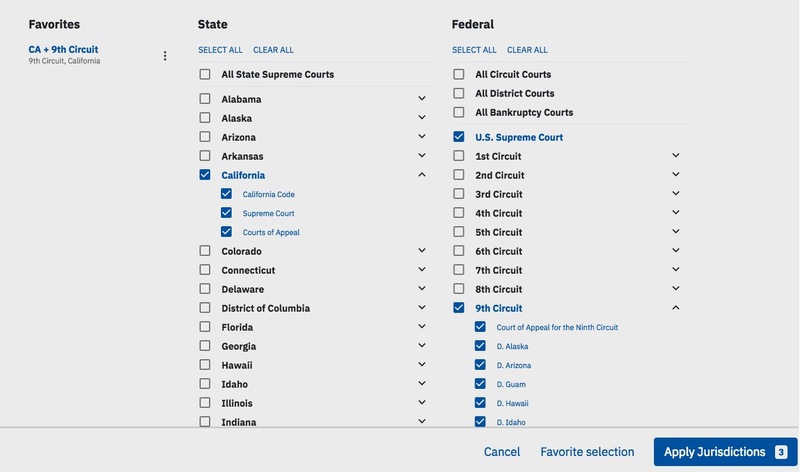 Once you have cleared the jurisdictions, check the box(es) next to the jurisdiction(s) you want to focus on, then click on the Apply Jurisdictions button in the lower right corner.